Hangover Heaven Hangover Supplement - Does It Work as Advertised? The hangover supplements industry is booming. 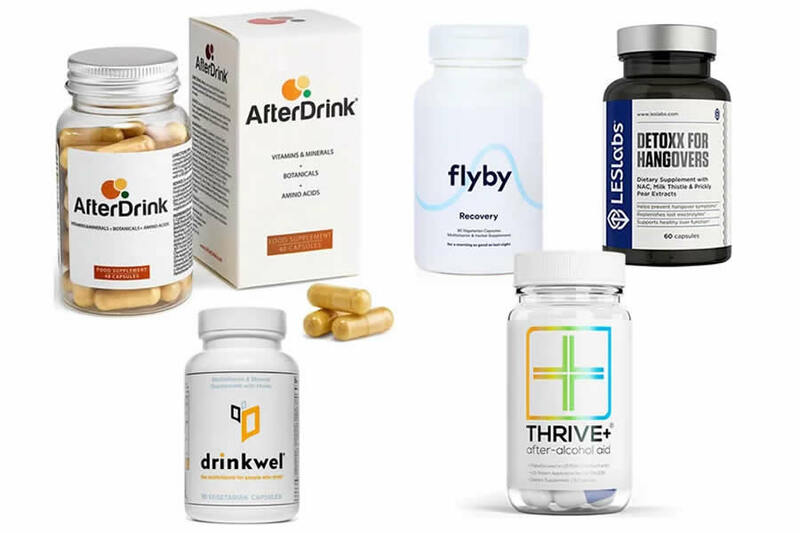 A few years ago, hangover cures and supplements hit the billion-dollar revenue mark. This is a clear indication that people are taking hangovers much seriously than we actually thought. 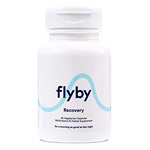 It also means that people are always desperately searching for the best hangover supplement in the market. Hangover Heaven Hangover Supplement is a hangover supplement that promises to eliminate your nasty hangovers with just a single capsule. But is it really any better than other hangover supplements out there? So basically, the product should help eliminate your hangovers while promoting a healthy liver. We can also see that the product uses all natural ingredients, which is great. 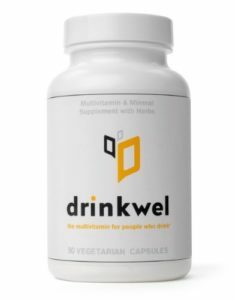 All you need to do is take 2 capsules before drinking and one after drinking. The product comes in sizes; a 3 capsules foil packed and a 42-count bottle. Both are available for sale on Amazon and their official website. So far, we haven’t come across anything shady about Hangover Heaven. 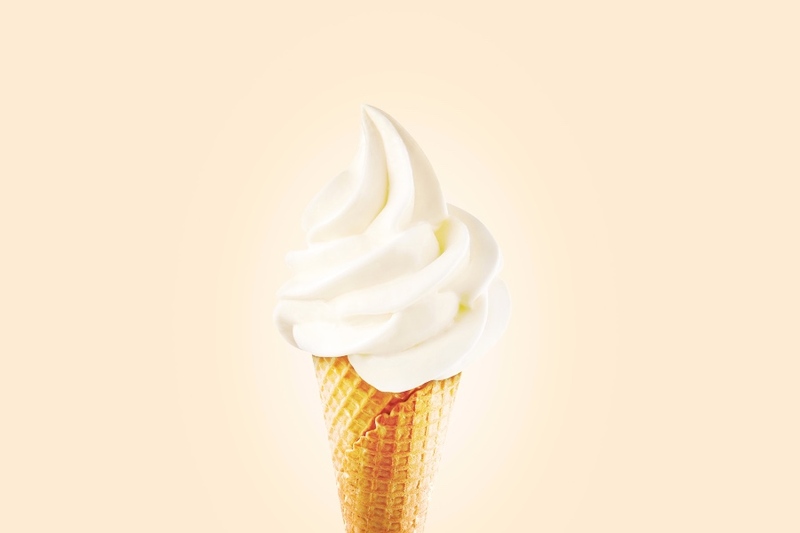 We need to review its ingredients content as this is the only way to gauge its effectiveness. Everything in the ingredients label seems so good to you, right? Well, it’s not. Have you ever heard of a proprietary blend? Probably not. A proprietary blend is basically a combination of ingredients on a product label that does not include the actual doses of each. Only the total amount of the combined ingredients is shown on the ingredients label. Proprietary blends are commonly used by manufacturers to avoid revealing the actual doses of ingredients. So why are proprietary blends bad? Without information about the amount of each ingredient in a product, there is no way to determine its effectiveness. By effectiveness, it means the dosage in which an ingredient provides an effect to the person taking it. The effective dose of green tea extract is approximately 200-250mg. 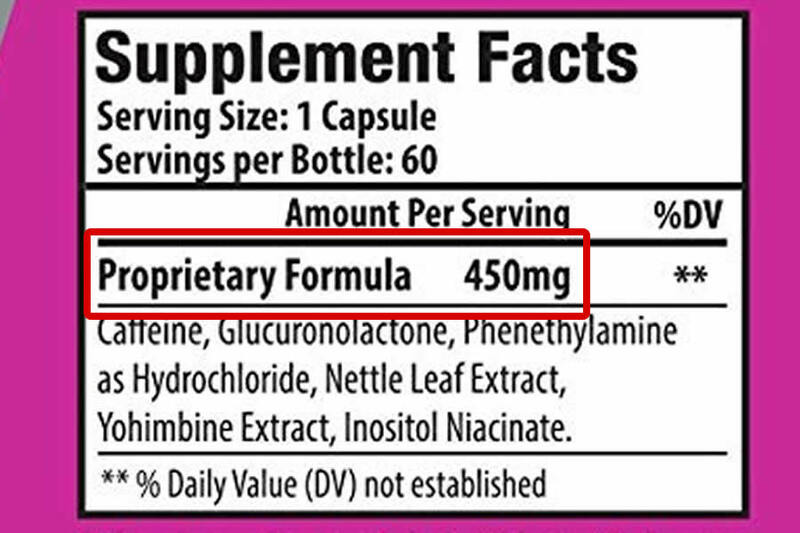 So if a proprietary blend only contains 70mg of green tea extract, you might not see any positive effect from this part of the supplement. Products that use proprietary blends are certainly not the best. Anyway, let’s get cracking on the ingredients in this hangover supplement. Meriva curcumin is the premium version of Curcumin that has a significantly better bioavailability. In other words, it’s absorbed much better than other curcumin extracts. Because of its easy absorption, Meriva curcumin is now commonly used to treat a wide range of conditions, including liver disease. One study published in the Drug Research journal found that Meriva can improve liver health in people with non-alcoholic fatty liver disease. Curcumin is a polyphenol with antioxidant, anti-inflammatory, lipid-modifying properties, which explains its positive impact on the liver. 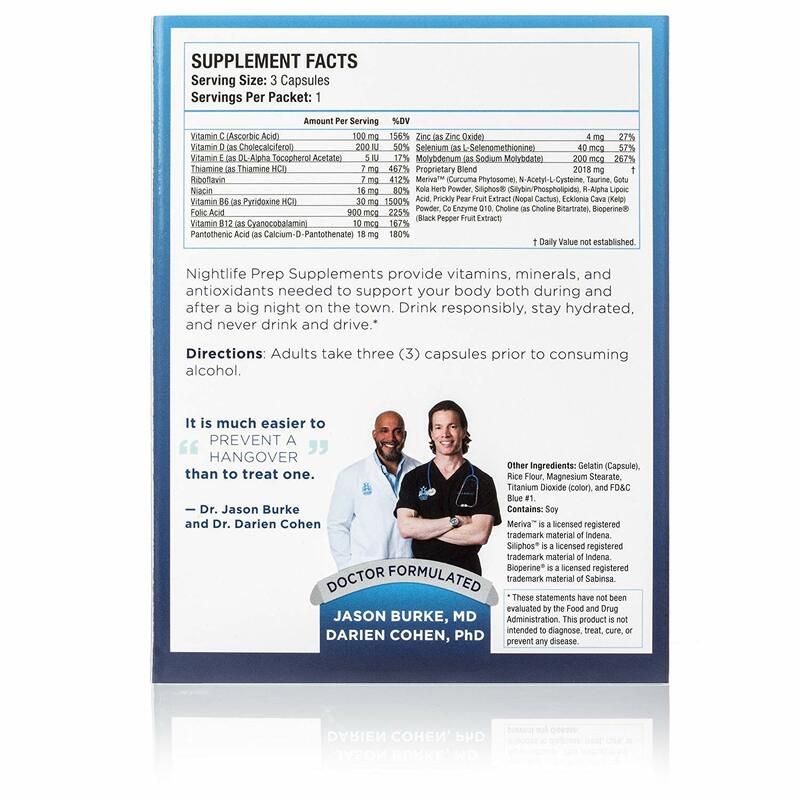 We don’t know how much of it is in this supplement but we are sure glad it has been included. Just like Meriva curcumin, Silphos, which is the premium version of Milk Thistle, has better bioavailability than regular milk thistle. Essentially, silibin, which is one of the constituents of Silmarin (milk thistle’s active ingredient), is not readily absorbed in the body. That’s where Silphos comes in. Silphos uses the Phytosome technology to bind silbin to soy phospholipids which enhances its bioavailability. It sure does seem like a great addition to Hangover Heaven hangover supplement. However, because we don’t know how much of it is in this supplement, it’s hard to determine its effectiveness. And this is a mistake we feel Hangover Heaven should have avoided. Ecklonia Cava is a Japanese seaweed extract that contains phloroglucinols, a unique type of polyphenols. 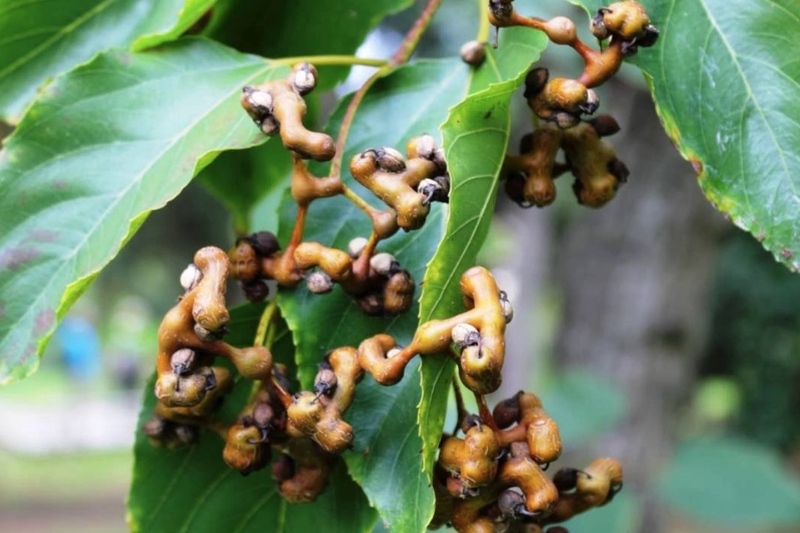 Phloroglucinols are a rich source of potent antioxidants. Due to their high antioxidant content, these compounds help prevent ethanol-induced liver damage. Gotu Kola is a traditional Chinese, Ayruveda, and Indonesian herb that practitioners claim possesses multiple health benefits. One of them is its ability to detoxify and cleanse the liver. The herb may also significantly reduce anxiety and help with insomnia, which is great for your hangovers. However, we did find that Gotu Kola may cause some minor side-effects like headache, dizziness, and upset stomach. But since we don’t know its exact amount in this hangover remedy, we won’t conclude that it’s unsafe to use. Various scientific studies indicate that Prickly Pear Extract may have beneficial effects on liver diseases. It may also ease hangover symptoms like nausea, headaches, and vomiting. Studies also indicate that prickly pear can protect your liver against alcohol-induced damage while protecting a healthy liver function. However, prickly pear may potentially cause minor side-effects like upset stomach, bloating, diarrhea, and headache, on rare cases though. N-acetyl l-cysteine is a precursor to glutathione, a powerful antioxidant. NAC stimulates the production of glutathione, which in turn protects your liver from free radical and alcohol-induced damage. It also helps support a healthy liver and function. Alpha Lipoic Acid is also an antioxidant which protects the liver from oxidative stress. 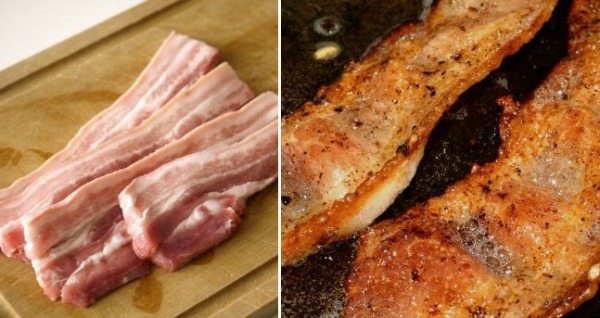 It also helps prevent fatty liver disease. Co Enzyme Q10 is a vitamin-like compound that possesses antioxidant, antiapopotic, and anti-inflammatory properties. Scientific studies indicate that it may be used to attenuate toxin induced complications like alcohol-induced liver disease. On the flipside, Co Enzyme Q10 is associated with elevated liver enzymes, which indicates liver damage or inflammation. Again, we don’t know how much of it is in Hangover Heaven hangover supplement, so it’s hard to determine if it’s safe or not. All the same, it’s best to see a doctor before taking any supplement with Co Enzyme Q10 to avoid such effects. Taurine is more of a calming ingredients rather than a hangover eliminator. All the same, we feel it’s a great inclusion in this supplement since hangovers are often associated with anxiety and insomnia. Bioperine is a patented standardized extract derived from black pepper. 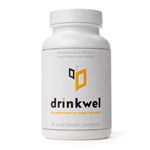 It works by enhancing the absorption of Turmeric by 2000%, Co Enzyme Q10, selenium, and even Vitamin B6. We find this a great inclusion, though we are not happy that its exact amount isn’t available. So it’s hard to determine if it will really enhance the bioavailability of these ingredients. Regular alcohol consumption often leads to loss of essential nutrients in the body. This often causes alcohol-induced deficiency. That’s why vitamins supplementation in hangover supplements is essential. 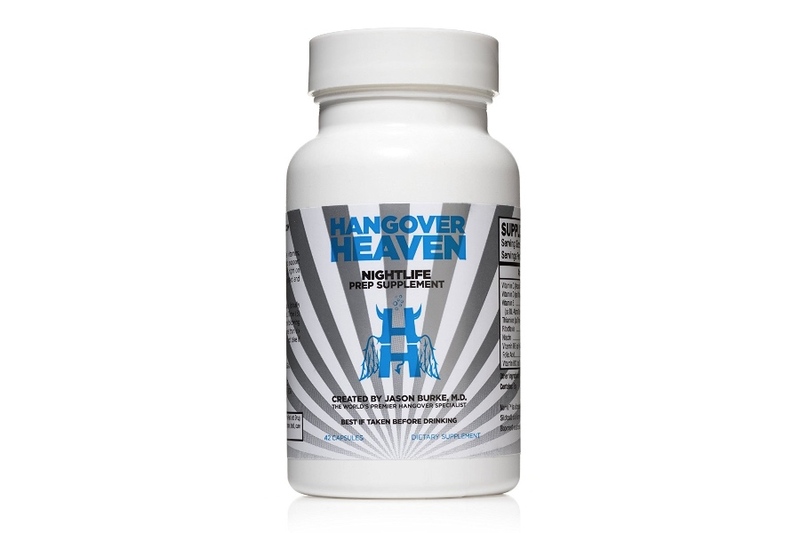 Hangover Heaven hangover supplement contains Vitamins E and C which protect the liver against alcohol-induced and free radical damage. Because alcohol consumption leads to B vitamins deficiency, Vitamins B6, B1, B2, and B3 help replenish the lost vitamins, which is great. 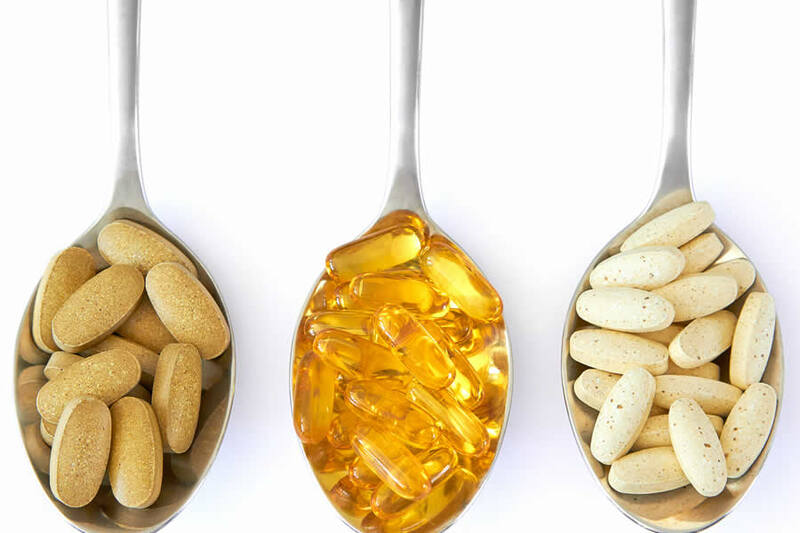 We find the inclusion of Vitamin B12 and folic acid unnecessary. Quite frankly, these two vitamins are not in any way relevant to hangovers or liver function/health. Folic acid basically works better for promoting the development of a health fetus and preventing anemia. Vitamin B12 on the other hand maintains proper function of the brain and nervous system and also prevents anemia. Molybdenum helps breakdown acetaldehyde, the harmful toxins from alcohol consumption. 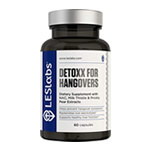 We find it an excellent addition to Hangover Heave hangover supplement. Selenium does a great job protecting the liver against free radical damage. However, we find 40mcg too small a dose as its safe upper limit is 400 mcg. We are not sure if it will do you any good. Zinc is a mineral that possesses anti-inflammatory, antioxidant, and apoptotic properties and might promote proper liver function and health. Zinc supplementation also helps reverse the effects of zinc deficiency in patients with liver disease. The mineral also helps prevent hangover symptoms like nausea. 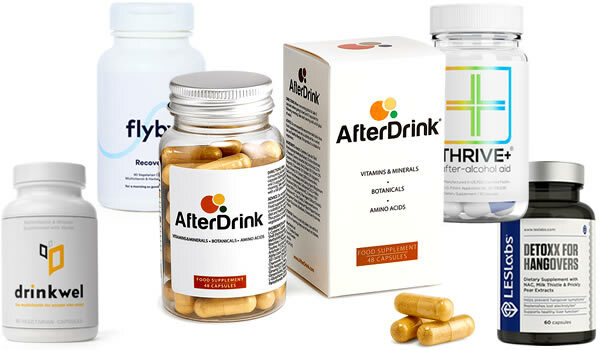 What Ingredients are Missing In Hangover Heaven Nightlife Prep Supplement? Hangover Heaven hangover supplement does seem like a nice remedy for your hangover. But sadly, we can’t help but doubt its effectiveness, considering some key ingredients are missing. 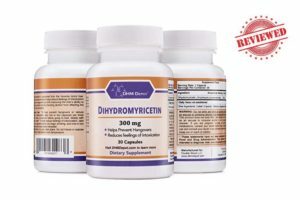 The best hangover supplements should include key ingredients like Dihydromyricitin & Ginger, Artichoke, and probably a little bit of Theanine for relaxation. Clearly, Hangover Heaven has skipped on these essential ingredients and for that, we don’t consider it a great hangover supplement. 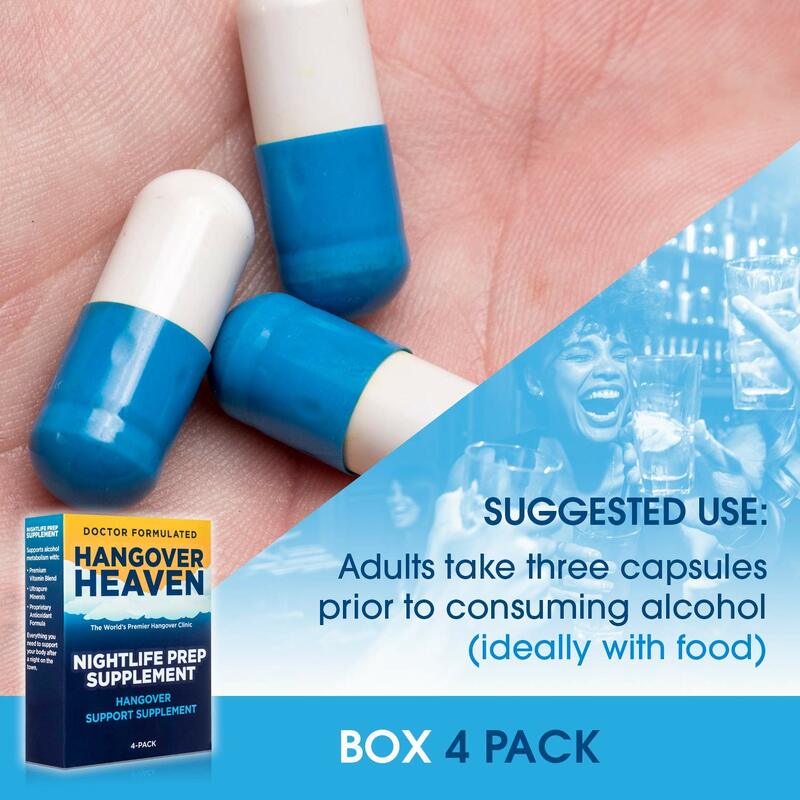 Hangover Heaven is available for purchase on the manufacturer’s official website (https://www.hangoverheaven.com/shop/hangover-heaven-nightlife-prep-supplement42/ and on Amazon. The 4-pack box is currently going for $19.99 and the bottle at $34.99 on Amazon. On their official website, you can get it for $29.97 for the 42 capsules bottle and $5 for a single packet with 3 capsules. 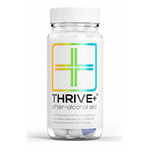 Finding a hangover supplement that really works can be a daunting task. 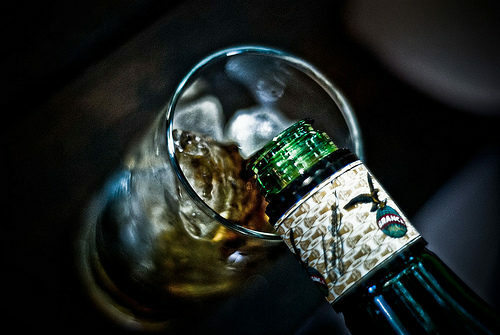 The market is saturated with hangover supplements that hide behind proprietary blends and fail to use key ingredients. Others are just a waste of money. 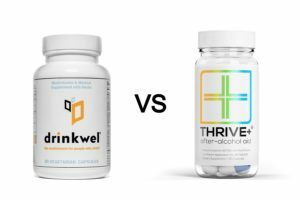 So it’s important that you do your due diligence when it comes to finding an effective hangover supplement. Hangover Heaven hangover supplement is in all aspects a good hangover supplement. But if you’re the kind of person who tries to avoids proprietary blends and are probably more serious about the kind of ingredients in a hangover supplement, then Hangover Heaven might not be for you.